Avid Bills fans have been hearing for a decade about the big ticket prices shelled out by fans in Dallas and New York City. But that doesn't mean Buffalo can’t have what modern day fans expect. Buffalo Bills owner Terry Pegula said last week that the team's next stadium might not look like the recently built stadium palaces around the league — but a "scaled-down" version instead. That begged the question: What are we comparing ourselves to? So we looked at 10 of the newest or substantially renovated NFL stadiums over the last 10 years and what their construction means for Buffalo. And we learned some things. Among them, it’s unrealistic to compare us to places like Las Vegas and Los Angeles. 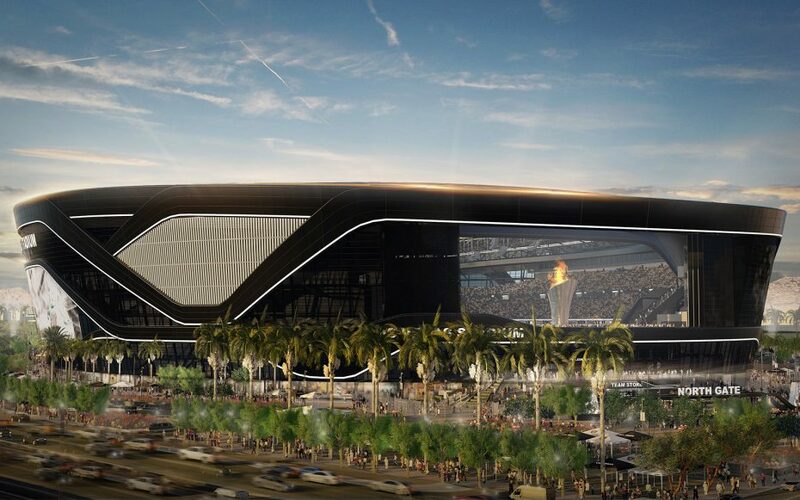 Vegas, for instance, can rely on hotel room taxes to cover its $750 million payment to lure the Oakland Raiders into a $1.8 billion domed stadium that will open in 2020. The Raiders will pay $1.1 billion, but high-rollers are going to cover most of that cost by writing big checks for personal-seat licenses. The L.A. Rams owner is privately financing a roughly $5 billion complex, probably making it the most luxurious football stadium in the world. And avid Bills fans have been hearing for a decade about the big ticket prices shelled out by fans in Dallas and New York City. But that doesn't mean Buffalo can’t have what modern day fans expect. New stadiums and stadium overhauls in places like Minneapolis, Miami, Kansas City and Indianapolis offer us some valuable insights. So here is the list of 10 stadiums, from newest to oldest, and what their construction means for Buffalo Niagara. Public/private financing: All private, with money coming from the owners' pockets, private loans, the sale of personal seat licenses (PSLs) and other sources. Why it’s relevant: It's not at all. With a price tag of nearly $5 billion, this stadium would open as one of the most expensive sports complexes anywhere and the most expensive stadium – by far – in the NFL. It is instructive, however, to see how the Rams owner opted to build well outside of downtown Los Angeles and to expand his vision beyond just a single stadium and into a "year-round sports and entertainment destination." Why it’s not relevant: It's probably delusional to think the Buffalo Bills could have a new stadium with zero commitment of public money, though it's certainly a positive development to see that some team owners are willing to bear an an increasing share of the costs. 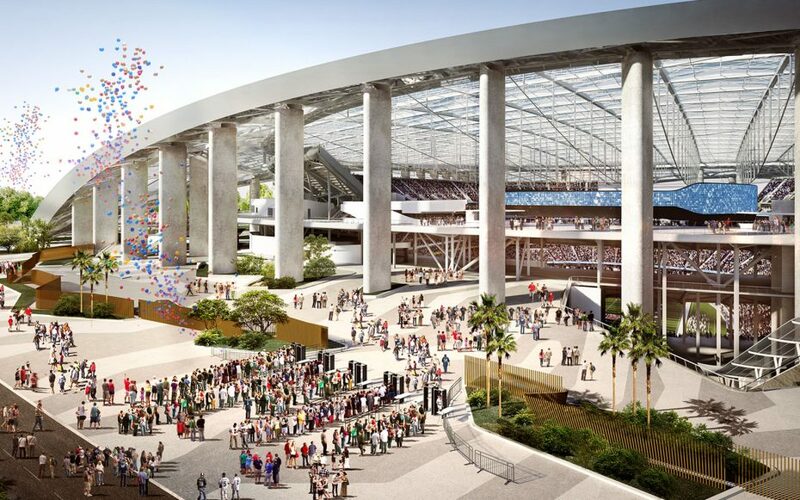 The L.A. Stadium, which will host the 2028 Olympics, is one key component of a larger, 300-acre entertainment complex that would include hotel, retail, office, performing arts space, restaurants and parks. The price tolerance of the Buffalo market is incomparable to Los Angeles, and it remains to be seen how much Rams and Chargers fans will be willing to pay what the teams will be asking. Location: Just west of the Las Vegas Strip, near the Mandalay Bay Hotel. Public/private funding: Taxpayers will foot $750 million of the bill, with the money coming from a special tax on hotel rooms. Why it’s relevant: It’s hard to find parallels between a domed stadium in a desert vacation mecca for a relocating franchise and Buffalo. Why it’s not relevant: The Pegulas are committed to keeping the team in Western New York. The Raiders left Oakland in 1982, came back in 1995, milked the city for a 1996 renovation that was widely panned as awful for taxpayers, and then sought richer pastures in Las Vegas. Vegas was eager to woo the NFL and craft a deal that would be attractive to owner Mark Davis. The public funding for the stadium comes from a hotel room tax. Since Vegas gets about 40 million visitors a year, that's a relatively painless revenue stream – paid by tourists – that few other cities could replicate. The Raiders are financing their share of the cost through the sale of PSLs. It’s expected that 55,000 seats in the stadium will require PSLs. Seat licenses in prime lower-bowl areas cost between $20,000 and $75,000. The midlevel PSLs are between $3,900 and $15,000. Both those categories are virtually sold out, the Las Vegas Journal-Review reports. In the highest levels of the stadium they sell for between $500 and $3,900. Public/private financing: The public paid $200 million toward the construction cost, backed by Georgia hotel tax revenue. The rest was financed by the Falcons. 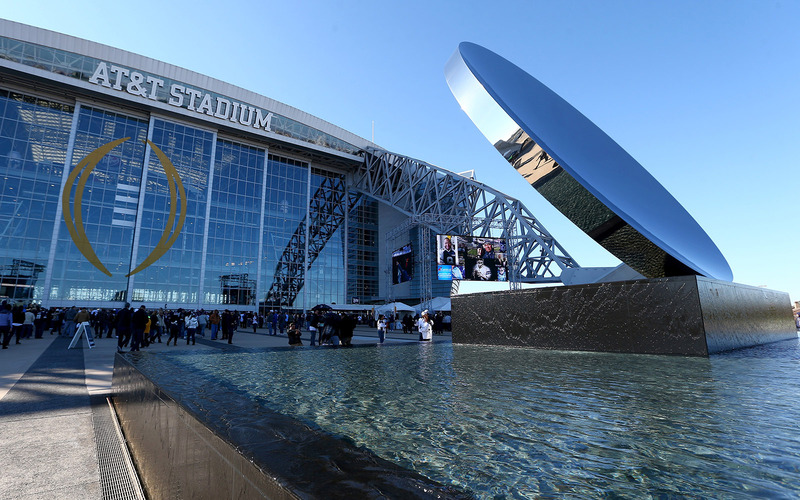 However, the cost to taxpayers could come closer to, or a bit more than, $700 million because the team has the right to tap into hotel-tax money collected beyond the first $200 million for future maintenance, operations and improvements to the stadium. The Falcons got $30 million in sales tax rebates on construction materials, $24 million in land and other perks. Why it’s relevant: While the stadium is downtown, tailgating still is viable due to surface lots near the site. The team also created a 13-acre park adjacent to the stadium for tailgating. And there’s a large plaza near the stadium with live entertainment before and after the game. Maybe Buffalo could copy and enhance that plan if a stadium is built downtown. Why it’s not relevant: The stadium has some extravagant features that might be hard to justify in Western New York. Its retractable roof has petal-shaped pieces that rotate both open and closed like the aperture of a camera. It has vast windows for natural light. It also has had problems with leaks. Lower-bowl seats are retractable to make it better for soccer. Location: Miami Gardens, Fla., part of the urban sprawl halfway between Miami and Fort Lauderdale. 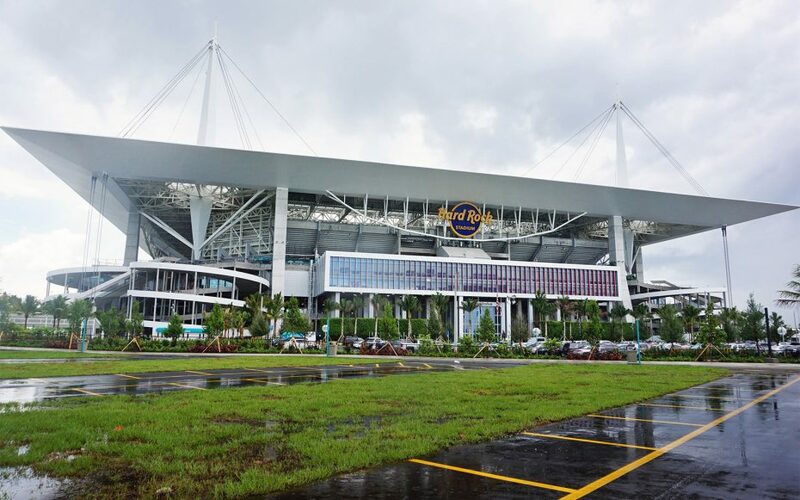 Public/private financing: Dolphins owner Stephen Ross funded the project with no public money, upgrading a stadium built in 1987. Ross decided to pay most of the cost of the modernization (the NFL kicked in some money) after failing on several attempts to receive public funding. Proposals for a sales tax and bed tax were shot down. All the seats were removed, a partial roof canopy was added and extensive improvements were made to the concourse and meeting areas. Why it’s relevant: The Dolphins did not use personal seat licenses to fund the renovation. The capacity decreased by about 11,000 seats. Miami’s average ticket prices ($86) are under the league average. The team’s premium-seat average ($365) is among the highest in the league, according to Team Marketing Report. Why it’s not relevant: Part of the motivation for the upgrade was to lure another Super Bowl to Miami. 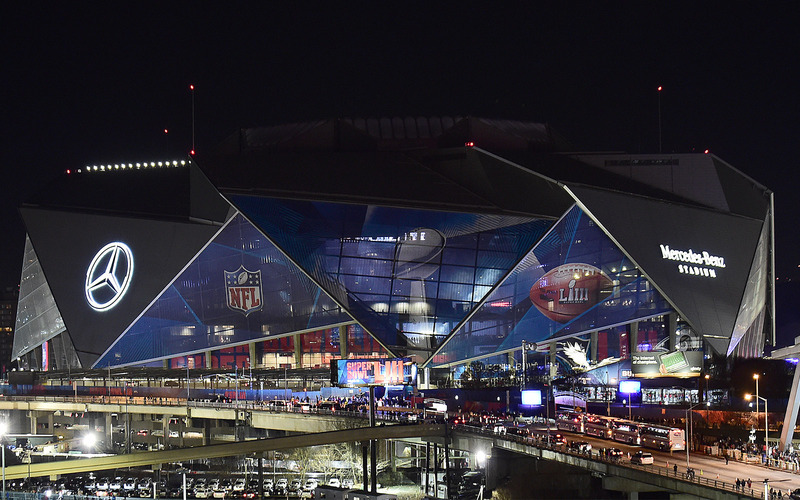 The NFL wasn’t going to award the city another Super Bowl without the renovation. Buffalo is not a Super Bowl candidate. Regardless of the weather, there are not enough hotel beds in the area to host the event, according to NFL requirements. The team sold naming rights for $13.7 million a year. The New Era Cap deal with the Bills is worth about $5.7 million. Location: downtown Minneapolis on the the site of the old Metrodome. 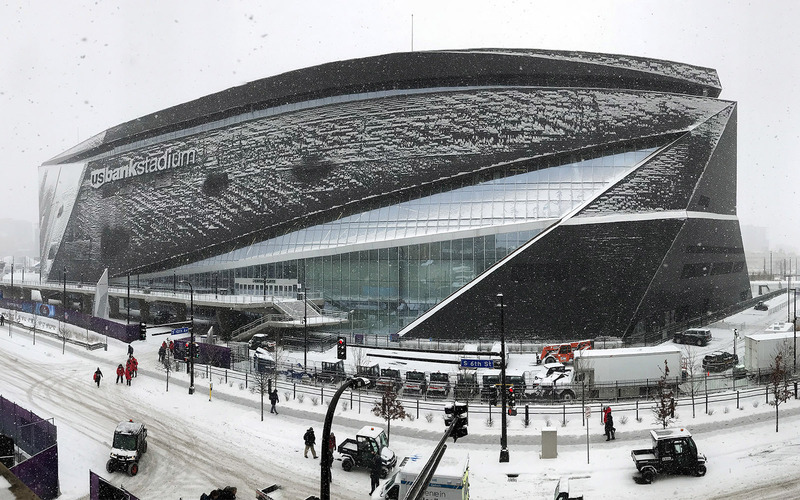 Public/private funding: Taxpayers footed roughly 45 percent of the stadium bill, paying $498 million, with the state paying $348 million and the City of Minneapolis paying $150 million. The Vikings contributed $608 million. The state also created revenue by allowing electronic pull-tab gambling. Why it’s relevant: The Vikings play in a similar, albeit larger, market as the Bills. Their distribution of stadium costs among the state, city and team has similarities to the lease agreement among New York State, Erie County and the Bills. Since the similar-market stadium was built only three years ago, its costs may offer a realistic projection for this region. Though Vikings fans wanted an outdoor stadium, the community couldn't secure enough financing without agreeing to build a translucent roof. Also, the Vikings sold personal seat licenses for stadium seats ranging from $500 to $9,500 per seat, lower than other wealthier markets. Why it’s not relevant: U.S. Bank Stadium is owned by the state, not the county, and the population of the Minneapolis region is three times larger than Buffalo's. But overall, there are many more similarities between the two markets, making U.S. Bank Stadium one the Bills are likely to study. Location: Santa Clara, Calif., a city of 125,000 located in Silicon Valley, 45 miles southeast of downtown San Francisco. Public/private financing: Public funding was about $114 million. The public money came largely in the form of a hotel tax, with neighboring hotels opting in to lure stadium construction. It’s a little more complicated than that. 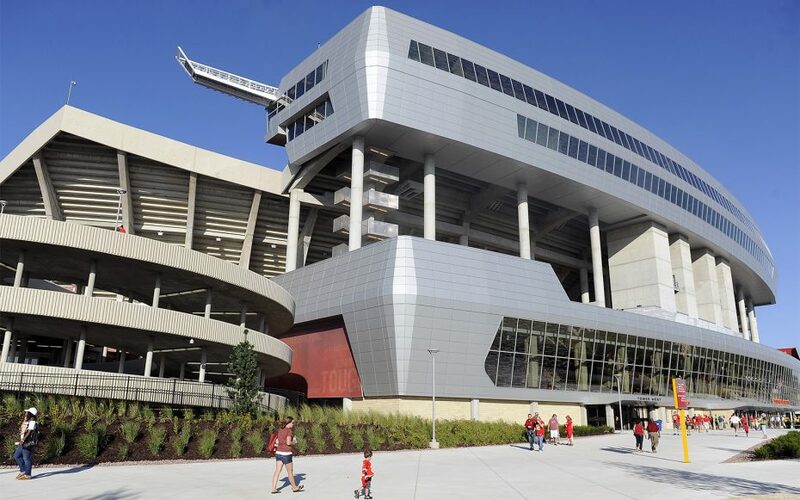 The stadium is owned by a public agency that is responsible for up to $950 million in construction loans. So the government took on debt risk, but stadium-generated revenue pays back the debt. Why it’s relevant: San Francisco and Buffalo obviously are very different cities. 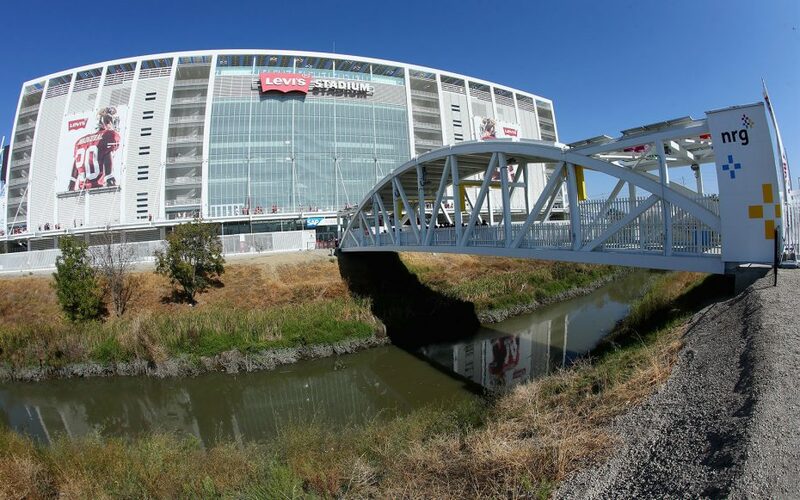 But the team's plans to build the stadium in San Francisco ultimately were scrapped due to shortage of available land, expensive infrastructure problems, and traffic and parking concerns. The site of the old stadium wasn’t an option because of infrastructure and problems and a lack of acreage. That’s why the project was shifted to Santa Clara. However, the move to Santa Clara demonstrates the increased costs related to downtown construction of a huge stadium project. A downtown Buffalo site likely would be a lot more expensive than a big renovation of the Orchard Park stadium. Why it’s not relevant: The project raised more than $1 billion in sales from luxury boxes, seat licenses and naming rights. The seat licenses alone totaled more than $530 million. Location: East Rutherford, N.J., about 9 miles west of Times Square in Manhattan. It was built next to the old Giants Stadium. Public/private financing: Zero public financing. The stadium was privately funded by the Giants and Jets. The two NFL teams covered the cost of demolishing the old stadium, too. However, it was built on state-owned land. New Jersey also spent more than $250 million in infrastructure improvements around the stadium. New Jersey also gave each the Giants and Jets 20 acres of land for training facilities. Why it’s relevant: The fact the two “New York” teams fully funded the stadium construction is a good precedent for New York State and Erie County politicians to use in negotiations. Not that Western New York won’t be forced to fund part of a new stadium, but the pendulum toward more private funding in the NFL started to shift with MetLife Stadium. 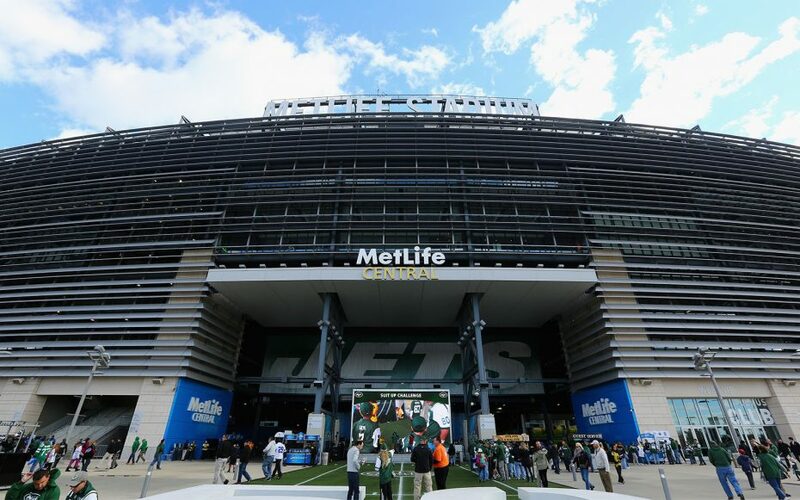 The fact MetLife Stadium was built on the same site as the old stadium, with plenty of parking and tailgating space available, is a model some in Western New York might favor. It’s also an open-air stadium. Why it’s not relevant: It was much easier for the Giants and Jets to cover the construction cost because of their ability to raise PSL money. The Giants’ PSLs (which all season-ticket holders must buy) ranged from $1,000 to $20,0000. The upper-deck PSLs were $1,000 a seat. More than half of the seats cost a PSL of at least $5,000. Final cost: $375 million. Kansas City voters in 2007 approved a bond for the full cost of stadium renovations to both the football and baseball facilities. But a second bond issue that would have funded a $170 million rolling roof to cover the open-air football stadium failed. Location: Kansas City, Mo., about 9 miles east of downtown. Public/private financing: The Chiefs received about $250 million in public money – about two-thirds of the cost of the project — while the Chiefs paid $125 million. County voters approved a sales tax increase of 3/8-cents to fund $212.5 million of the project. Why it’s relevant: Chiefs fans did not want to abandon Arrowhead Stadium, built in 1972. The stadium is built on property somewhat similar to New Era Field, with plenty of parking and tailgating lots around it, although it has much better highway access. The renovation increased the number of suites from 80 to 126. It doubled the size of the concourses, increased concessions and created huge event spaces that can be rented out for large meetings and parties. During the 2012 lease talks, the Bills proposed a more complete overhaul similar to that of Arrowhead, but the plan was scaled back in the final agreement. Why it’s not relevant: It’s relevant, since Kansas City is more similar to Buffalo than most NFL markets. The reason against making New Era Field a “newer, nicer Arrowhead” would be a desire to put a new stadium downtown. Location: Arlington, Texas, a suburb that is part of the Dallas-Fort Worth metropolitan area. It’s 20 miles west of downtown Dallas. Public/private funding: The cost to taxpayers was about $473 million, making it 39 percent publicly financed. The Cowboys paid the rest, with the help of a $150 million loan from the NFL. City of Arlington voters approved the increase of the city's sales tax by a half-cent, the hotel occupancy tax by 2 percent and car rental tax by 5 percent. That money backed an original bond of $298 million. Bonding of $147.9 million is funded via taxes on tickets and parking. Why it’s relevant: The sales taxes and hotel and car-rental taxes have panned out well for Arlington. The original 30-year bond of $298 million cost another $343 million in interest. But because tax revenue has been better than expected, Arlington expects to pay off the entire bond 10 years early. Why it’s not relevant: The Cowboys were able to fund their portion of the cost via exorbitant, personal seat license fees, which give fans the right to buy a season ticket for 30 years. The 15,000 PSLs for the best lower-bowl seats ranged from $16,000 to $150,000. That doesn’t even count the 200 luxury boxes in the stadium. Those costs are unthinkable in Western New York. Location: downtown Indianapolis, adjacent to the Indianapolis Convention Center. Public/private funding: Largely taxpayer funded by area counties through an assortment of taxes, including a 1 percent food and beverage sales tax charged by most of the surrounding counties. The Colts contributed $107 million and pays nothing for maintenance. The stadium has been criticized as the most heavily subsidized stadium in the NFL. Why it’s relevant: Indianapolis could be a cautionary tale for Buffalo. Both are small-market cities at risk of carrying a disproportionate tax burden based on the fear of losing their teams and never being able to get another one. Buffalo is also often compared to Indianapolis because that city made the conscious decision to place its convention center adjacent to its stadium at a time when Buffalo is deciding if and where to build a new convention center. 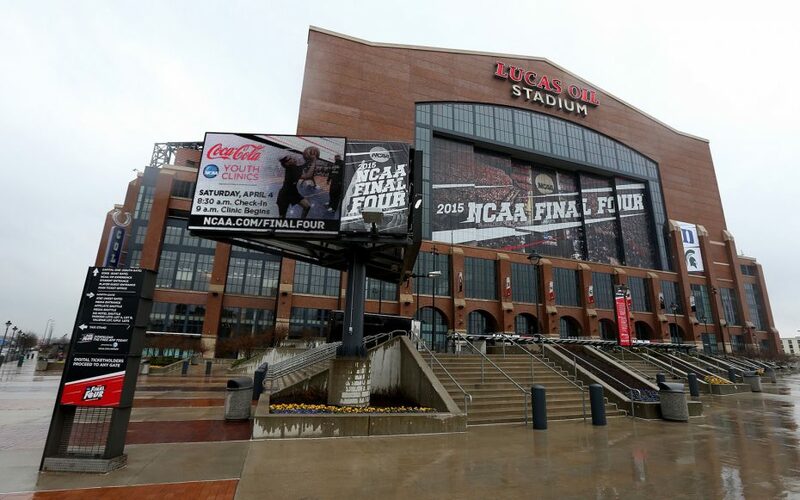 Though Lucas Oil Stadium has been criticized as a bad deal for taxpayers, those who worked on it said that in a small market, leverage goes to the team owners. Why it’s not relevant: Indianapolis strategically chose to build up its national reputation as a sports city, and the city felt it had to appease the Colts team owners, the Irsay family. Robert Irsay had abruptly moved the Colts from Baltimore under cover of darkness in 1984 to that city's everlasting resentment. His son, James, now owns the team. The lease agreement includes a commitment that the team will remain in Indianapolis for 30 years. The Pegulas have not shown similar interest in moving the Bills from the Buffalo region.